Your entire purchase - just add the code during checkout. Apply the code during your purchase and save that extra 5% off. Select items part of the holi-deals section. on orders $35 and more. Take 20% off all pet supplies. Maybelline products - buy more, save more. Join the Rewards program today! Shop, Earn, Redeem - it's that easy. Shop our clearance and save with additional discounts. Your need to add the Resolution Solution to your routine. Items under $2.99 so you can look good on a budget. New Aveeno Products - search now. Pharmapacks is an ultra-modern health and beauty online store founded in Queens New York. It is devoted to providing consumers with a seamless online shopping experience that is not only convenient and safe but also affordable. It boasts a wide array of merchandise ranging from pet supplies, medical aids, to beauty and health products. This diversity makes it a one-stop online marketplace for the wellness and health of both you and your pets. As a trendsetter in the health and wellness niche, Pharmapacks breathes the professionalism and finesse that many similar online stores lack, facilitating a seamless and effortless shopping experience. The store currently accepts a wide range of payment methods to cater to the demands of its customers. These include American Express, Master Card, Visa, PayPal, Discover Card, and Google Checkout. Orders are typically processed within one to three business days. This excludes holidays and weekends. To make an order, you are required to register an account with the store. From there, you can browse through the site to select the products you are interested in. to include an item in your cart, press on the “Add to Cart” icon which is found on the product description page. After adding the items you want to your cart, click on the “Check Out” icon to complete the purchase. 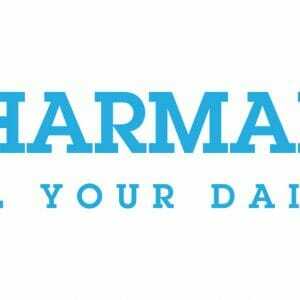 NB: If you are not comfortable with registering an account with Pharmapacks, you can choose to check out as a guest. However, shoppers are encouraged to create accounts. Orders can also be placed through the phone by dialing this number 855-797-2257. If you prefer this method, first go through the site to retrieve the identity numbers of the products you would like to order. The shipping and fulfillment begin within one to five business days after an order has been successfully made depending on the products in your order and its destination. However, most of the times the fulfillment process takes between 2-8 business days depending on the type of shipping you choose when checking out. Products on Standard shipping take between 5-8 businesses to arrive to arrive at your shipping address. If you would like your items to arrive faster, you can use expedited shipping which takes 3-5 business days including the time used to process the order. However, this is going to cost you $5.99 for every order. Pharmapacks has a wide range of promotions for its customers including coupons which can be used at the final stage of shopping. If you have a coupon code, this is how you can use it. Step 1: Select the products you would like to buy by adding add them to your cart. Step 2: After you are done shopping, proceed to the checkout page. Step 3: At this stage, you will see a box asking if you have a coupon code or gift certificate number. Step 4: Enter the code in that box and click on “Apply”. If you would like to speak to or contact a customer care representative, there are several ways to do it. Email: Send an email with your question to atcustomercare@pharmapacks.com. Responses are made within 24 hours. Live chat: If you have a pressing issue that you would like handled as soon as possible, use the live chat feature by clicking on the “Live Chat” icon located on the right side of the site. Pharmapacks is also heavily represented on social media platforms. You can contact them through the following pages. Pharmapacks gives unsatisfied customers the chance to return items within 30 days from the date of the invoice as long as they are in their original packaging. The store doesn’t accept items that have been opened or tampered with unless they are defective. Orders over $500 are subject to a restocking fee of 50 percent. If the item you bought is defective, incorrect or damaged, Pharmapacks will not charge you for the return shipping. Otherwise, you will have to bear the costs of shipping the item you want to return. Packages that are undeliverable as a result of insufficient or wrong shipping addresses also qualify for a refund. If you follow the due process and qualify for a refund, the refund will be credited to your account within 30 days of your return item being received. An email will also be sent to you confirming that the refund has successfully been carried out.